Catherine Dawson Giles (1878-1955) was a modernist watercolour painter. Born in London, she attended Goldsmiths, University of London in 1900 and later the Royal Academy. She studied with the American painter Max Bohm in France as part of the Etaples art colony. 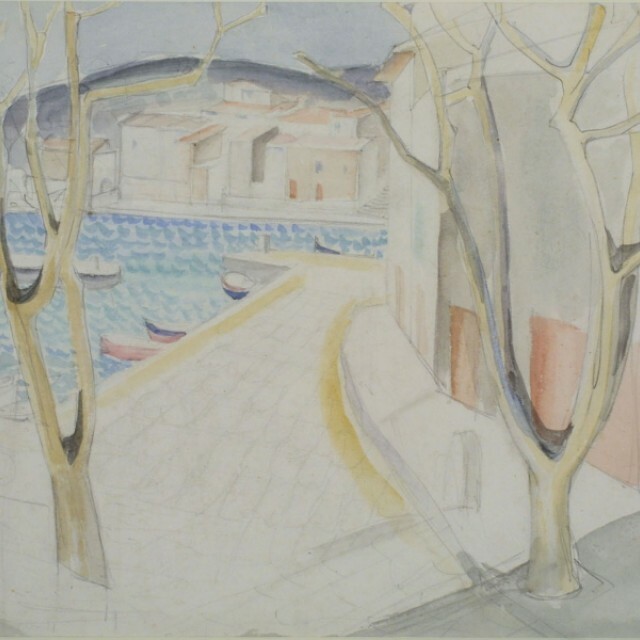 Giles travelled throughout Europe and Northern Africa during the 1920's and 30’s on painting trips and she also painted many scenes of Etaples, France where she had studied. Giles exhibited with the New English Art Club in the 1920's and had a one-woman show of watercolours and gouaches at the Claridge Galleries. She exhibited with the Roman Catholic Guild of Artists with Eric Gill in the 1930's.